Concentrating on just one part of the car buying process means you can get hammered on the other parts. That's why you're seeing so many new ways to tackle the car buying and financing process. Apps let you compare financing costs between lenders. Hey, some apps even "guarantee" the cheapest loan offer! A couple of companies will bring a new or used car to you at home. You don't even have to deal with a traditional salesman! Lots of companies promise effortless buying, in minutes literally. Don't like driving to a dozen dealership to find your perfect set of wheels? A couple of companies let you enter the details of your dream car and then will instantly tell you what seller has that car. Worried about getting rid of your old vehicle? No worries! Some online companies will quickly tell you what they say your old car is worth, even give you a "certificate" stating its supposed value. Want to find the best used vehicle? Shoot, do it in minutes online, several companies claim, and then read a report on the vehicle's history, to boot. What can go wrong there? Tired of all that paperwork every car buyer faces? Tired of signing a dozen times? Hey, some companies let you read all that stuff online, and sign just once! Wow, all these great options made me want to stop writing this article and buy a car just for fun! And that's sort of what virtually all of these companies want you to do—let down your guard, and think of the car buying process as easy as buying lightbulbs online. Oh, and if you're under 35 and already buy everything online: you're a very special target for all these "services." First the good news: All the new car buying ventures will probably save you a lot of time, and a lot of stress— initially. Nice. The bad news: In my opinion, very few, if any, of the new car buying ventures will automatically save you money, get you the best vehicle, or even get you the best dollar for your trade-in. Here's the problem. The car buying process is really complex. But most of these new companies want you to concentrate on a single part of the transaction that might really appeal to you. We make buying faster and stress-free! We find the exact car you want! We find you the cheapest financing! Have credit problems? No Sweat! We make you feel good about the money you'll get for your old car! But here's an important fact: Concentrating on just one part of the car buying process means you can get hammered on the other parts. Did you know any car dealer or online car buying service can give you the cheapest financing but still make thousands on you? You've just had a car delivered to your door. Great! But how do you know you got the cheapest price, or best car, or best financing? You probably don't. How much money can you burn by concentrating on one part of the car transaction instead of the entire transaction? Some years ago, I was the expert on a Dateline NBC segment dealing with that question. On a $21,000 list-price vehicle, a young adult worker threw away more than $8000 on what she contracted to pay. So, what do you do if you want to save the most money in total when you're ready to buy a car? Get this: Saving the most money on the total transaction isn't that hard! And maybe you can even use one or more of the new services out there and at least give you a benchmark on the true best deal. Forget speed when buying a car. Okay, you can do the deal in 45 minutes or you can do it in four or five days. But you might save thousands by taking four or five days. Which approach makes the most sense? A single car purchase can impact your life for years. Don't trust a book or a website to tell you what your old car is worth. A book or a website can't write a check. And every car has a different value. Color, condition, even the time of day can impact what your old car is worth. Shop it and find out its real value. Car people are famous for "lowballing" the value of trade-ins (offering you less than it's worth—often much less). Don't let that happen to you. Don't let an app or a website tell you what you should pay for a new car. What sellers will take for a car often varies minute-by-minute. And often a dealer near you may sell you a car for little profit—and no finance profit—and even give you what your old car is truly worth. You just have to learn how to ask. Get a "benchmark" loan offer. Get a firm loan offer from a credit union, and compare other loan offers to the credit union offer. 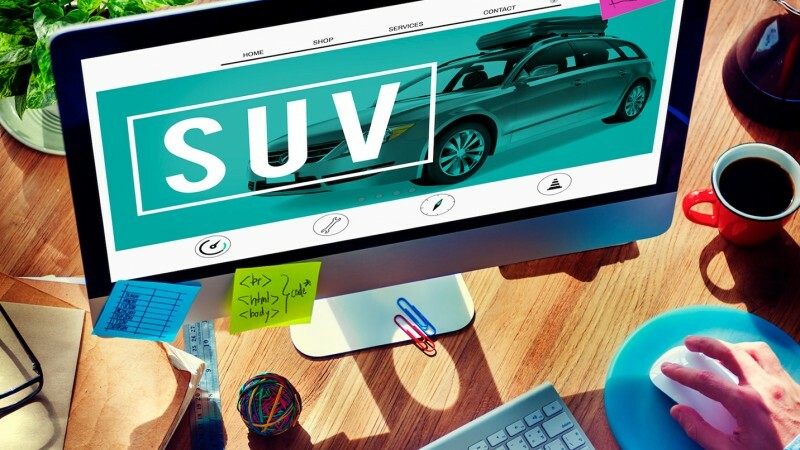 Don't buy on your first visit to anything—a dealership, a website, an app. Always compare. Slowing down almost always saves you money.